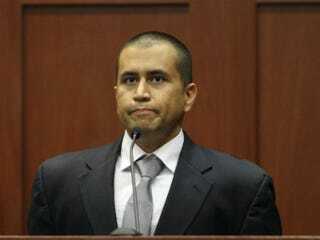 Friday, May 11, 9:58 a.m. EDT: Zimmerman's online fund being tapped: Some $50,000 from an online defense fund for suspect George Zimmerman has been tapped to cover his living expenses and security pending trial, the Christian Science Monitor reports. He pleaded not guilty this week to second-degree murder in the shooting death of Trayvon Martin. Thursday, May 10, 10:23 a.m. EDT: Sanford police chief aims to ease racial tensions: Richard Myers, 58, took over the chief's job on Thursday, replacing Bill Lee, who is on leave amid strong criticism for his handling of the Feb. 26 shooting of Martin. "It's apparent to me that there is some tension here between the African-American community and the police," Myers, who has met with officers, City Council members and local community leaders, told USA Today. "I think both the community and people of the police department want to improve that. I'm going to do whatever I can to help facilitate strengthening that connection." Wednesday, May 9, 11:35 a.m. EDT: Zimmerman waives right to speedy trial: The Detroit Free Press reports that George Zimmerman has waived his right to a speedy trial, arguing to a Florida court that he needs more time to prepare. The move means it could be October at the earliest — and likely much later — before the start of his second-degree-murder trial. Tuesday, May 8, 9:46 a.m. EDT: Evoking Trayvon Martin, college partiers throw bottles at black students: Allegedly taunting them with references to Trayvon Martin, a group of people on the roof of Cornell's Sigma Pi Fraternity house reportedly threw bottles and other objects at black students who were walking by the house early Sunday morning, according to several accounts, the Huffington Post reports. Cornell Chief of Police Kathy Zoner confirmed that people were "reportedly making racial references" and throwing bottles from the roof of Sigma Pi. She added that she could not disclose more information because the investigation, which is being led by Ithaca police, is ongoing. Monday, May 7, 10:30 a.m. EDT: Case prompts movie name change: The movie once known as Neighborhood Watch is being released as simply The Watch, the Atlanta Journal-Constitution reports. The movie had previously pulled its early trailers out of sensitivity to the Trayvon Martin case, in which the Florida teenager was shot by neighborhood watchman George Zimmerman, who has said he acted in self-defense. Read last week's updates on the Trayvon Martin case here. Read all of The Root's news and commentary about the Trayvon Martin case here.